Off days are days when I can stay in the kitchen, tweaking recipes and trying ways to improve on their taste, texture and how they look. 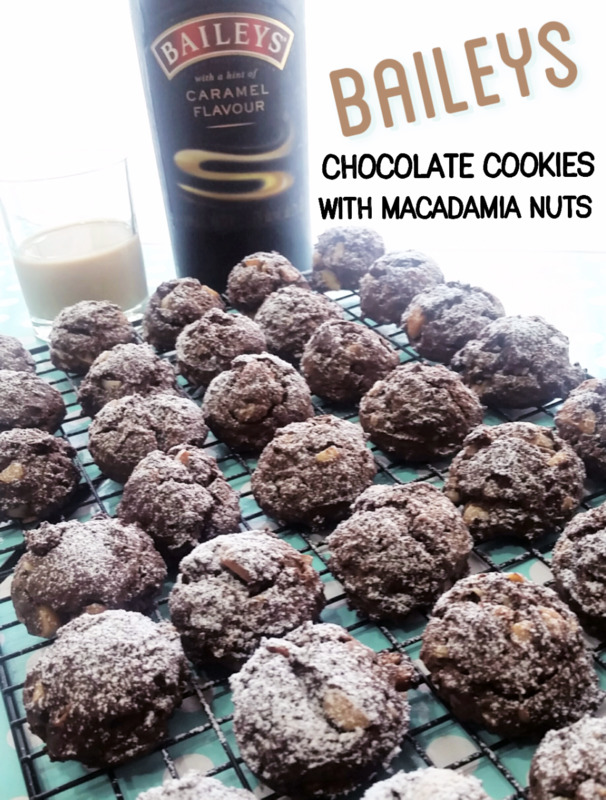 Project of the day - Baileys' Chocolate Cookies with Macadamia Nuts. Take a look at the recipe below and you will notice that I have done a huge reduction in the amount of sugar to include in the cookie dough. This is due to the reason that this particular bottle of Baileys' that I have with me happens to include a tint of caramel flavour to it. As such, the Baileys' itself was already kind of too sweet to me. 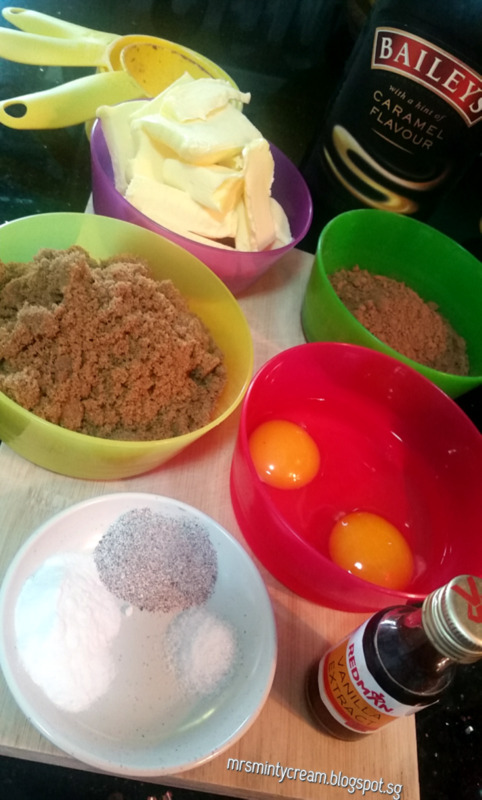 To avoid having overly sweet cookies, I reduce the amount of sugar from 300g to 170g. These Baileys' Cookies has a slight crunch on the outside but definitely soft and chewy in the centre. You may even think that it kind of resembles a chewy, fudgy brownie. Not only so, it comes with a nutty twist with all the wonderful chopped macadamia nuts in it! 3. In a large bowl, sift and combine all the dry ingredients (flour, cocoa powder, instant coffee powder, baking soda and salt). 4. In a mixer bowl, cream together butter and sugar until mixture is creamy and fluffy. 5. Add in eggs and vanilla extract gradually and beat the mixture until it is smooth. 6. Add in Baileys' Irish Cream to the mixture. 7. 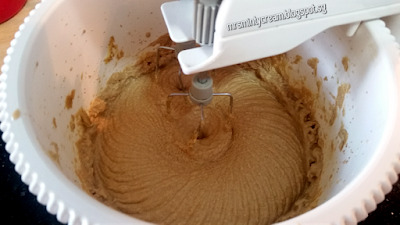 Fold in dry ingredients in Step (3) to the mixture in Step (6), one third portion at a time and mix well. 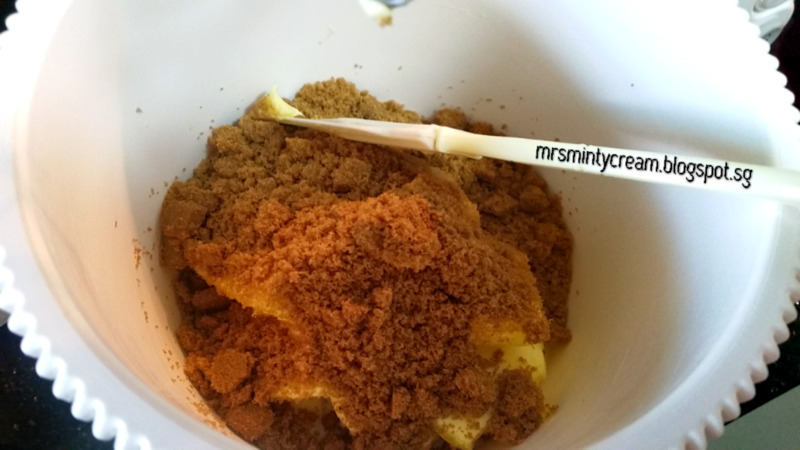 Make sure mixture is well combined until all dry ingredients are well incorporated. but take note not to over mix. 8. Add in macadamia nuts to the batter. Combined well. 9. Wrap dough in cling wrap and refrigerate it for at least 30 minutes. 10. 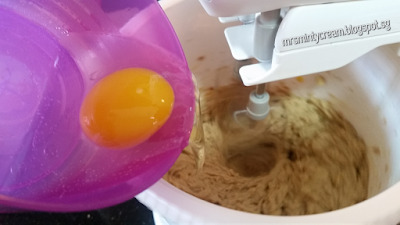 Using a small ice-cream scoop, scope and divide the dough into small portions (ball-shaped). Place them on the baking sheets. Ensure they are slightly apart from one another. 11. Bake for 15-18 minutes. 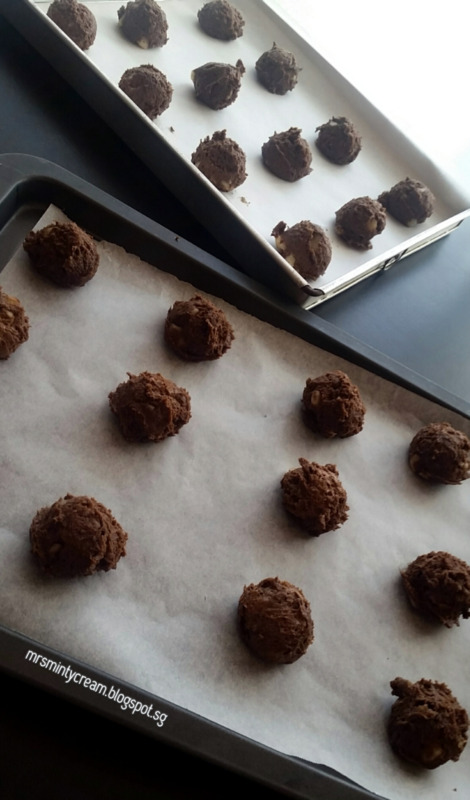 After removing cookies from oven, allows the cookies to cool on the baking sheets for 5 minutes before transferring them to a cooling rack to cool completely. Once the cookies are completely cooled, store them in an airtight container. Wow! All of my favorite things rolled into one cookie. I can't wait to try this recipe. Yummed and Stumbled too! 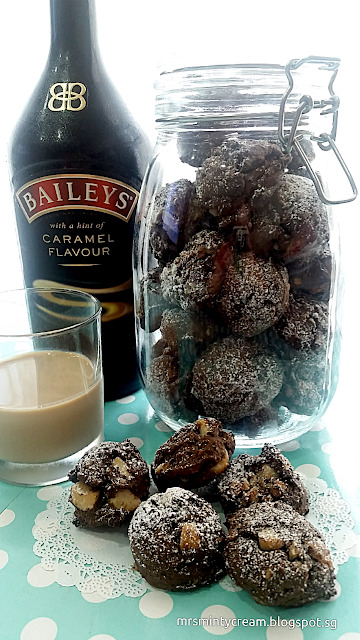 Thanks for the tip about how you reduced teh sugar due to the sweetness of the Bailey's ... not something I might have remembered to do. I love soft and crunchy cookies!! Simply the best of both worlds!! Wow! These cookies look absolutely scrumptious! Saving this recipe for later!!! These sound delicious!! 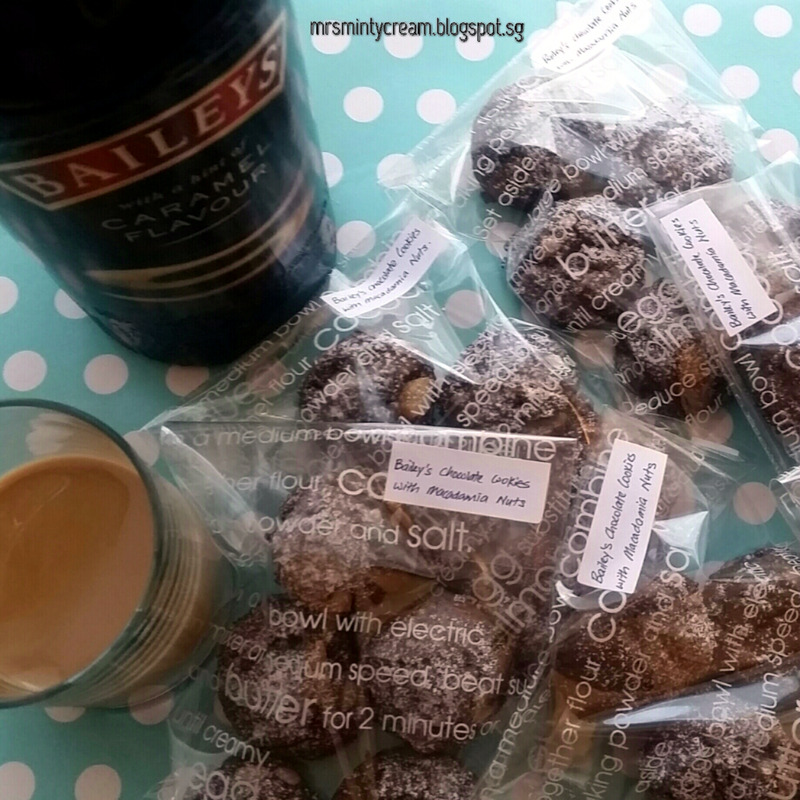 I love Baileys and I think that sounds like the perfect addition to fudgy chocolate cookies. These cookies look fantastic. I've been on the hunt for a cookie recipe with Bailey's included. Delicious! So glad you are here! Thanks. Give them a try? 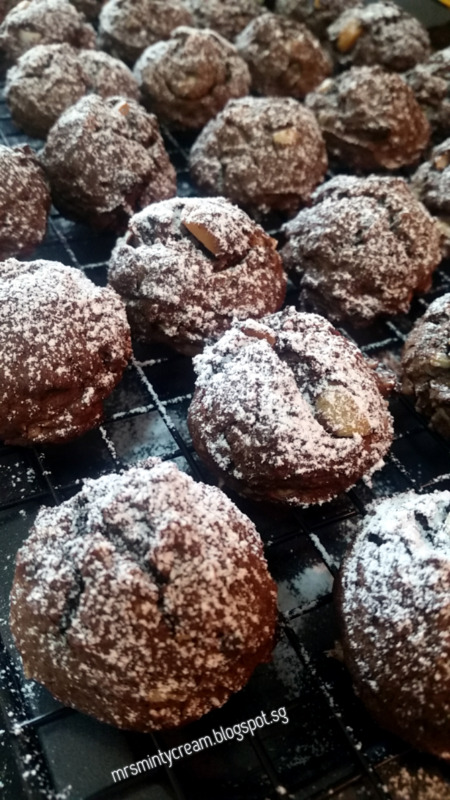 Hi, possible to omit cocoa powder to make it like coffee biscuits? I have not gave that version a try yet. But I supposed it should work but you will have to increase the amount of coffee powder you use. In this chocolate version, we are only using 1tsp of instant coffee powder to bring out the chocolate flavour. Hope that clarifies. What a totally scrumptious blend of ingredients! This is a cookie recipe I must try! Love the flavour combinations here. Would be very happy munching away on one, two or even three of these babies. Thanks. Give it a try?